Ready for that big family reunion coming up? Do you have an awesome shirt, everyone will love? Well, look no further, cause here is the shirt for you! 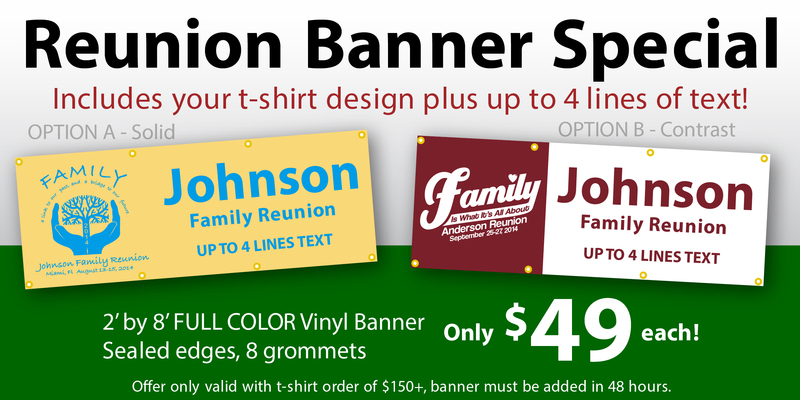 Our, Wrought Iron Family Reunion Shirt, is the ideal shirt for your family reunion. We can customize this shirt to fit your needs! We guarantee the family will love it! Prices include a 2 color print on one side, FREE ground shipping, and FREE artwork & setups!